One of the most important ways to protect your Alliston property is through proper roofing installation. When you are designing a new home or business in Alliston, Ontario, you want to do your best to make sure it is protected in every way. 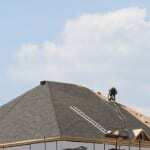 One of the most important ways to protect your property is through proper roofing installation. Consider the ramifications of an incorrect roofing installation. If a vital step of roofing installation is not followed, you could end up with a leaky roof, which could lead to water damage and more expensive repairs later on. For this reason, you want to make sure you hire our professionals to handle roofing installation. As accredited by the Better Business Bureau, we are committed to providing our customers with the best roofing installation experience possible. We make sure we follow manufacturer specifications on every roofing installation we complete. This guarantees that you will have access to full warranties on your roof. Our shingles are fibreglass, which means they are durable, easy to install, and cost effective. If you are looking for roofing installation in Alliston, turn to us. We will gladly answer any questions you may have and will be pleased to book an appointment. As part of our commitment to quality customer service, when you hire us to complete a roofing installation, we will make your job the only one we work on until it is complete. Since we are solely focused on your roof, we can complete the job quickly, so you can get a new roof with very little interruption to your normal daily routines. If you want to experience genuine satisfaction with a roofing installation, contact us today.